- Manila Bay Floating Hotel - ... and restaurant. Enjoyed your site on the Philippines. 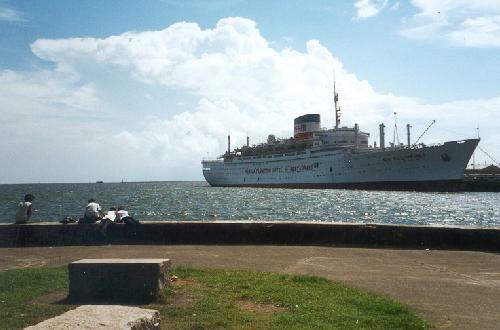 Thought I'd point out that the Image in your collection of the Manila Floating Hotel used to be the m/v Augustus of the Italian Line. The ship entered service in 1951 on the Genoa - South American run, and the success of the ship (along with her sister ship Giulio Cesare) led the Italians to construct the Andrea Doria (of infamous North Atlantic fame) and Cristoforo Colombo. Augustus was moved to the Genoa to NY run after Doria sank, and reassigned back to South America after the Leonardo da Vinci entered service in '60. She worked that route and Cruised until air travel lead to the dissolution of the Italian Line. Pity too, As the Italians built ships with incomparable lines! 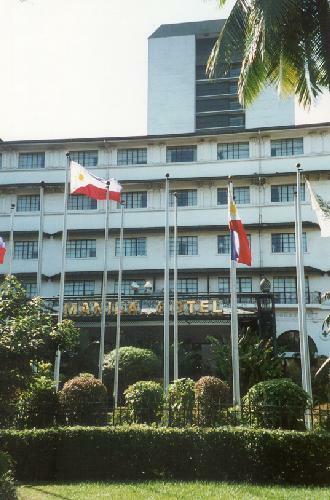 - Manila Hotel - The venerable lodge is still pretty classy after all those years. - Philippine Relief Map - Who drained the Pacific Ocean? 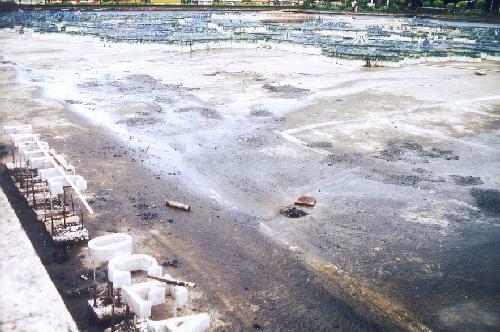 I remember this large pool in Rizal Park, as a kid, when it was filled with water and you felt like a giant looking over all the islands picking out landmarks. Seems to be out for repairs. 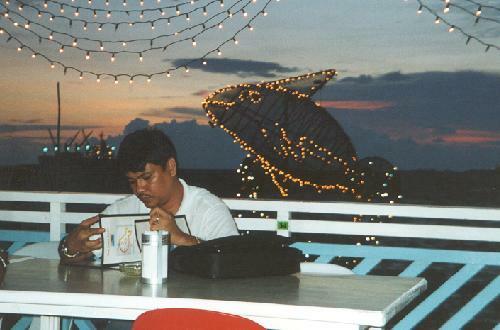 - Manila Bay Sunset - After a hard day's work or travel, it's time to relax at a bayside restaurant. Watch out for flying fish.